Harmony is defined as many different tones coming together to make a better sound. Similarly, the Harmony Park Project is working to build Bloomington’s first inclusive park, which allows children of all abilities the opportunity to play together, thus improving the play experience for everyone. 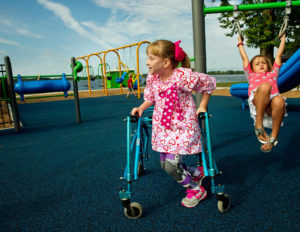 By providing park equipment that is safe and accessible for all children, differently-abled children would have an opportunity to play and grow without limitations in a city where the only current inclusive options are adaptive swings located at a small number of local parks. Additionally, typically developing children will not only have a new park with diverse equipment, but also the opportunity to interact with children different than themselves. Our hope is that these interactions will help build critical support, acceptance, and kindness within our community. To provide a safe and fun environment for children with different abilities to play together. 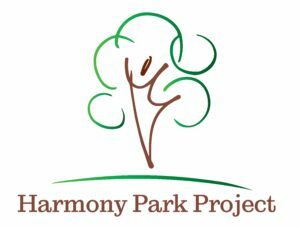 The Harmony Park Project is a public/private partnership between many leading nonprofits within the community - including Marcfirst, Autism McLean, Max's Miles Foundation and Jaycees of Bloomington-Normal - and the City of Bloomington. 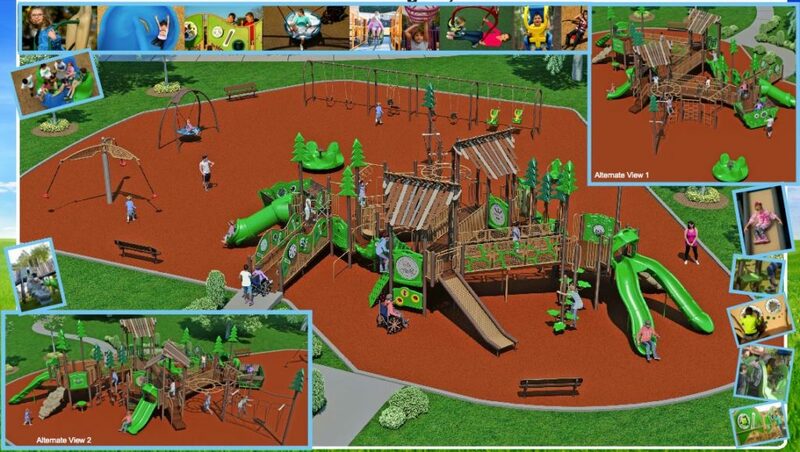 The partnership is working together to raise the funds necessary to purchase desired equipment as determined through our collaboration with Cunningham Recreation and GameTime equipment, leaders in designing and building inclusive playgrounds. The equipment will replace the current playground structure at Rollingbrook Park. The Bloomington Parks and Recreation department will assemble the playground and install the fencing. Additionally, future maintenance of the park will be handled by Bloomington Parks and Recreation department on an ongoing basis. Once the park is open to the public, the uniqueness of the equipment and accessibility to all individuals will make it a destination within the town of Bloomington and the surrounding areas. Currently, the cost of the equipment and surfacing is estimated at $350,000. The City of Bloomington has committed $85,000 to the project. Additionally, the project is the recipient of a State Farm Neighborhood Assist Grant for $25,000. The remaining contributions will be raised through corporate sponsorships and private donors. Please consider supporting this amazing project. Any donation puts this dream closer to becoming a reality! Various Sponsorship Levels are available between $500 and $25,000. An opportunity to sponsor a particular piece of equipment is also available. Please contact the committee at for additional information. The Merry Go All offers high-back molded seats which provides children of all abilities a unique vestibular stimulation while allowing the child to maintain a neutral body position. Its distinctive design draws all children together to interact and enjoy the classic fun of a merry-go-round while also stimulating their limbic and vestibular systems for improved muscle function. The Rock N Raft serves as a large enclosed teeter totter which offers movement experiences and an interactive gathering spot that is important for social emotional, sensory, and communication development. Passengers, including one mobility device, cooperatively shift their weight or push the outside to achieve momentum. The Arch Swing can accommodate up to five children by allowing children to sit around the perimeter and enjoy swinging together. Children with sensory issues can lay across the center section and enjoy the calming to and from motion. A combination of fully accessible Unitary Safety Surfacing and ADA compliant ramps will help adults and children with mobility devices and limitations safely move about the playground. The entire layout is designed to keep kids moving and promote healthy physical play, yet there are areas intentionally designed within the playground for children who might seek out cozy spots for temporary sensory relief. The park will also be fully fenced with only two entrances/exits to protect children prone to wondering. If you would like to help the Harmony Park Project Fund meet its goals, please donate online by clicking on the Donate button below. If you prefer to make a donation in another manner, click here for information.